It’s easy to take modern automotive aerodynamics for granted, as most cars built in the past couple of decades have been shaped either in a wind tunnel or via computer simulation. Either way, the goal is the same: to cut through the air without too much fuss. The benefits are many. Fuel economy goes up. The ride is quieter at speed. 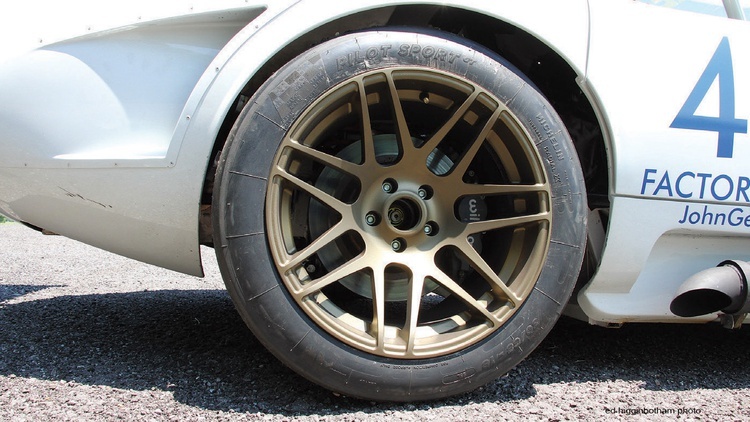 And in the case of anything even vaguely performance-oriented, carefully shaped undertrays, factory wings and other aero tricks work to negate or even overcome the unnerving sensation of lift that used to appear as a car approached triple-digit speeds. It was not always thus. In the 1950s, the archetypical sports car–from the Porsche 550 and AC Ace to the Ferrari 250 TR and Jaguar D-Type–was an open-cockpit affair. No matter how low-slung or swoopy the bodywork of these beauties appeared to the human eye, however, parasitic turbulence was sapping horsepower at speed. By the early 1960s, with maximum velocities climbing and aero becoming more of a factor on the long straights of Le Mans and elsewhere, competitive evolution had begun shaping the future. Although they stuck up higher than the open-top racers, aero-sculpted coupe designs were showing their legs on the flat-out bits, and everyone scrambled to come up with their own slippery hardtop. Carroll Shelby’s once-potent Cobra was in need of a new profile to keep pace in international racing, and Peter Brock noodled up a solution. The team couldn’t have been more fortunate: Brock’s resulting Daytona Coupe design was capable of nearly 200 mph given enough road, and the Shelby went on to beat the Ferrari 250 GT for a World Sportscar GT class championship in 1965. Swipe left to the new millennium, where the majority of modern GT racers are coupes or even sedans. The legendary roadsters from the ’50s and ’60s have become collectible unobtanium for the average weekend warrior, destined for museums instead of the paddock. 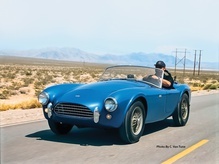 To fill the gap, several companies have started selling kit cars inspired by the iconic Cobra. One of them, Factory Five Racing, decided to take a stab at a spec racing series to bring back some of that open-cockpit magic for drivers and fans alike. 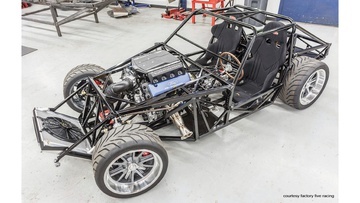 The Factory Five Challenge Roadster of the early 2000s used the running bits from a Fox-body, 5.0-liter Mustang mated to a welded steel frame cloaked in fiberglass bodywork. 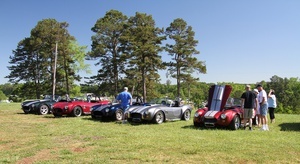 It was affordable and fast, the FFR competitive field ballooned rapidly, and the series was a huge hit for the National Auto Sport Association. After a few years spent honing skills, pooling data to improve and racing against other FFR stalwarts, John was a regular on the podium. 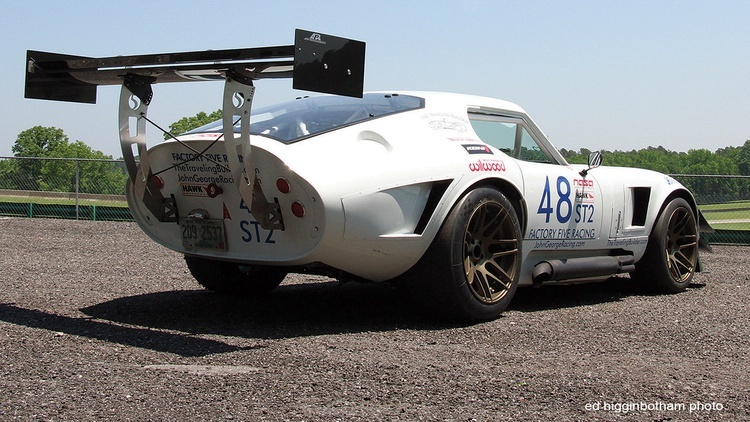 He joined Ed Boothman’s Factory Five effort at the NASA 25 Hours of Thunderhill, and together they employed aerodynamic enhancements and other tweaks outside the spec FFR Challenge ruleset. 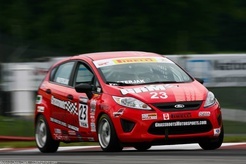 And after a few years of almost-there attempts, John won the FFR national championship at Mid-Ohio in 2012, after the FFR spec was changed to allow new cylinder heads that bumped the output of the 5.0 from 220 to 320 horses. Despite the power bump, the class had fallen on hard times. The economy and other factors were having an impact on racing, and the once-robust FFR Challenge field was drying up. 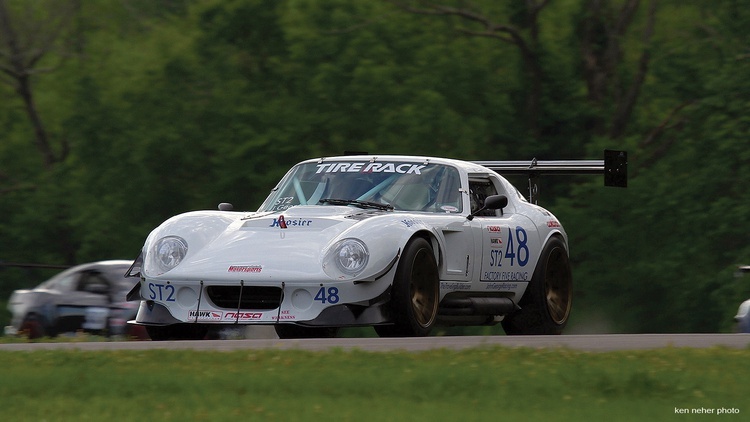 When the NASA Nationals came to VIR in 2015–the same site as John’s 32-car debut experience with FFR–competition was sparse. 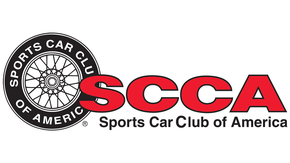 NASA bills their Super Touring classes as their “premiere open marque racing series.” Grids attract modified exotics and high-output sports cars. Horsepower-to-weight ratios are used to place entrants in one of the four available classes, with Super Touring 2 being the second fastest group. 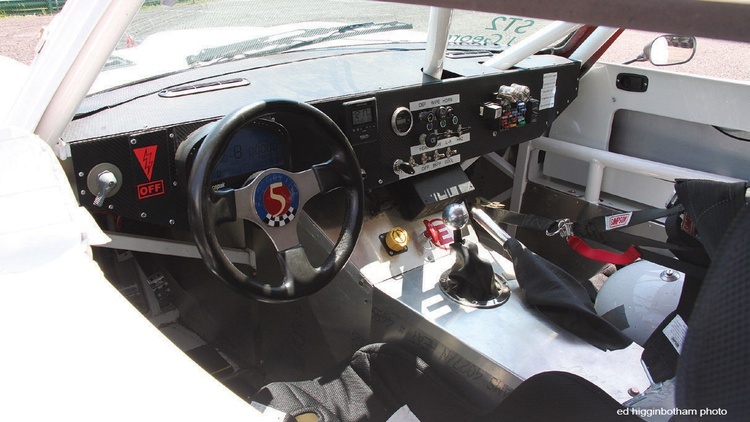 Another Factory Five racer, Pat McMahon, was running ST2 in John’s region, so he made the switch. “I put on some Hoosier tires and won a couple of races, mostly out of chance,” says John. 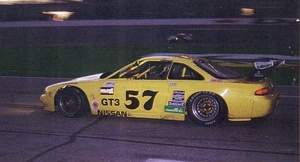 He followed the same changes he’d made for Thunderhill, adding aero and maximizing the brakes, chassis and suspension. Around this time the supply of old 5.0-liter Mustang engines was drying up and rebuilds were getting expensive, going for as much as $6000. After discussing his options with Jim at Factory Five, John decided to swap to a more modern Coyote 5.0-liter Ford V8 engine out of an F-150 pickup. Sometimes, living in the future saves you a lot of the trouble when it comes to solving the problems of the past. Factory Five already offers an homage to the Daytona Coupe called the Type 65 Coupe. John couldn’t help but laugh as he followed in Shelby’s footsteps by simply picking up the phone. John spoke with Jim Schenck at Factory Five and found that the Type 65 was being upgraded to Gen 3 specs, and they were in need of a few beta builders to assemble the first cars. John promised he would get the job done in a hurry, and on January 1 he received the first race frame kit from Factory Five. The goal was to swap the running gear from his FFR Challenge car to the Type 65 Coupe in time to go racing in March. “There was no build manual because Jim didn’t have it written yet,” laughs John. He teamed up with Mark Dougherty of The Traveling Builder, a master fabricator who makes a living helping others assemble their kit cars. John took long weekends from work to travel the 6 hours to Mark’s home in Pennsylvania so they could rush assembly on the Coupe. “This is all Mark, his son Brendan, and sometimes Sean Lingle,” says John, “Mark and Brendan knew what to do. 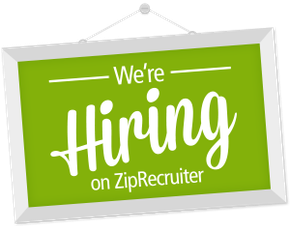 I’m no slouch mechanically, but it went by so fast I don’t even remember what was what.” Just 25 work days later, John had a running coupe. The new Coupe was instantly quick. They unloaded at VIR in March and John was ecstatic to turn 2:00.3 in his second session, running on worn Hoosiers from his previous Nationals event. His track record in the old car was a 2:05.3, but John admits that it’s not an apples-to-apples comparison; that lap time was set with the old engine, small brakes, no aero and slower tires. However, the new car is faster. “I definitely picked up 5 mph,” he says. Some luck in timing and the rapid completion of the car meant he also scored some wind tunnel time with Factory Five and Snap-on. 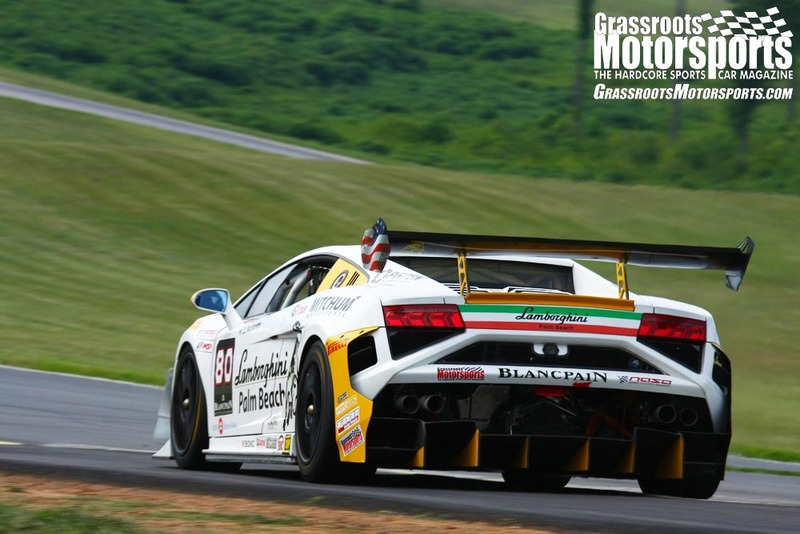 John’s crew learned that the aero tricks they’d been using at the 25 Hours of Thunderhill were sound, while they could also project the front splitter even further–another 5 inches or so–without detriment. He also found that his old APR Performance GTC-300 wing was generating a lot of drag for the downforce, but the company’s GT-1000 model delivered similar downforce even when trimmed almost completely out for minimal drag. The Coyote V8’s abundance paid off, as John was able to source another engine from a junked F-150. 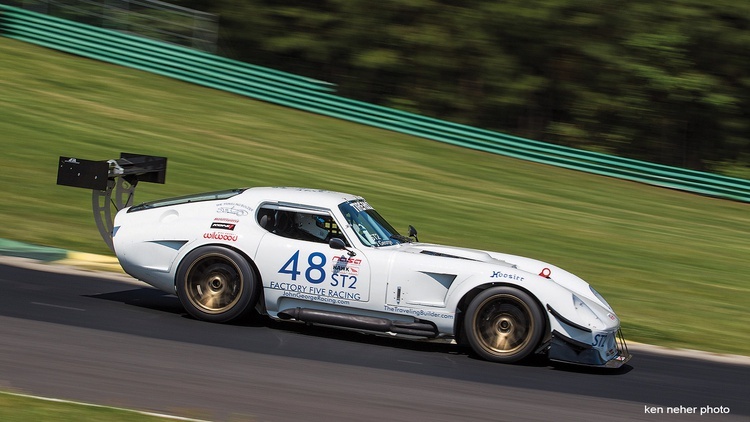 He swapped engines in time to score seventh overall at the 2017 Ultimate Track Car Challenge, posting a best time of 1:58.985 around VIR. Join Free Join our community to easily find more Factory Five articles. Love this car. The shape is just... Right IMO. Ditto that. I really enjoyed this article, too. Great job Scott! The interesting thing about these is that the back was not Brock's original design. He said in an interview that he had the rear designed more like a 911, and it was better aerodynamically but Carroll Shelby hated how it looked, so then he changed the design to what we now know. Aerodynamically though, it was a huge step backwards and they fought and fought trying to get it to work, simply because Shelby liked how it looked better. BROCK: I sketched up a few ideas— ballpoint pen on legal pads. Nothing fancy. I'd been sketching the lines in my mind and on paper for some time. While at GM, I'd found some translations of studies on automotive aerodynamics done by Dr. Wunibald Kamm in Germany in the late 1930s. The data seemed perfectly logical—why try to dispute the laws of physics? The shapes, however, looked so strange that no manufacturer was willing to risk trying them in production. BROCK: Shelby seemed immune. Either he didn't understand what I had cre- ated, or he didn't care what anyone else thought. All he asked was, "Do you think it'll work?" Yeah, I replied. "Okay, let's build it." That was it—pure Shelby. Shelby is now suing you for using the name Shelby on your website. Boy, I really wish I could remember. I almost want to say it was in an interview with Hot Rod Magazine. I think you may be misremembering. There are numerous references to Brock discussing the Kamm papers as being his inspiration, not it just being some styling whim of Shelby. The initial opposition he faced was because the rear was so unconventional looking, unlike the much more conventional steeply tapering 911 rear. And ultimately the 911 rear is significantly worse aerodynamically than the Daytona Coupe. The inefficient rear shape of the 911 is why not only did the tall 'ducktail' spoiler on the original Carrera RS kill the rear lift that made it so challenging to race at high speeds, but also managed to actually reduce the drag coefficient at the same time. It was actually the rear spoilers on other race cars, like the Daytona Coupe, that caused one of the Porsche engineers (Tilman Brodbeck) to investigate and develop it for their own use. The same 'ducktail' spoiler effect was also leveraged for the aerodynamic improvements on the 964 and later cars, with the automatically raising rear spoilers. Jim Schenck, Director of Research & Development at Factory Five, is also an avid racer with many hours at the helm of FFR Challenge and other company racing projects. The Gen 3 Type 65 Coupe is the company’s latest masterpiece. “The Coupe was our oldest design,” Jim explains. “All our other cars had either been designed more recently or gone through major overhauls up to that point.” He notes that they applied lessons learned from more recent projects, including the 818, ’33 Hot Rod and even their GTM Supercar, to the upgrade of the Type 65. He notes that 15 years ago, their very first Type 65 prototype was so diminutive that none of the Factory Five team members could fit; this resulted in a second prototype that was 6 percent larger all around. 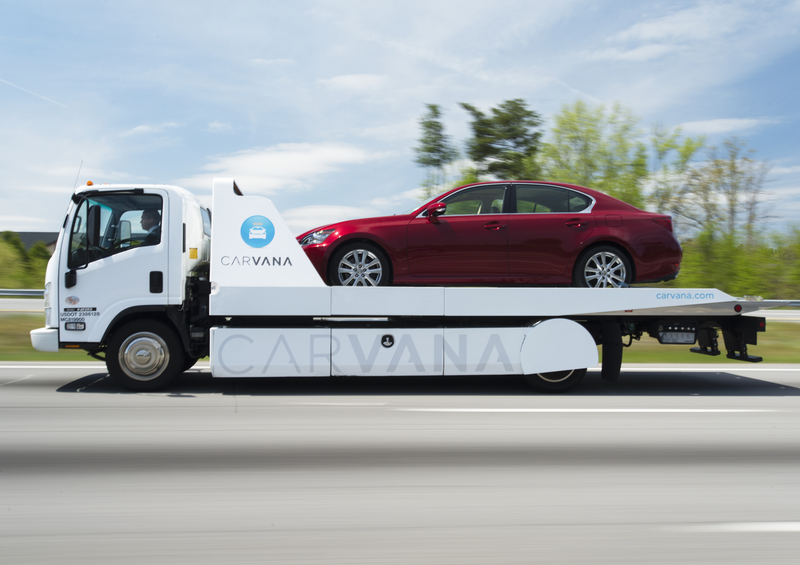 For the Gen 3, in addition to exceeding their expectations for driver space, Jim proudly reports that the car became Factory Five’s new flagship for chassis stiffness efficiency. He further explains that the flat floor and lower driving position have preserved the car’s low center of gravity, and the addition of a second set of suspension mounting points for racing height means the whole car can be lowered without changing the suspension geometry from its street configuration.